Soaring demand by cryptocurrency enthusiasts have made it impossible to find graphics cards at reasonable prices, but a new contender is throwing its hat in the ring nonetheless. Motherboard maker ASRock already offers boards with room for up to 13 GPUs, and now it’s looking to fill all those slots with its new Phantom Gaming graphics cards. The Phantom Gaming lineup exclusively uses Radeon Polaris graphics processors. The strong compute performance of AMD’s GPUs makes them a hit with miners, but (as indicated by the name) ASRock is seemingly pitching these graphics cards towards gamers. Single fan versions of the 2GB Radeon RX 550 and RX 560 are available with a dual ball bearing design, while the much more potent 8GB RX 570 and RX 580 incarnations bump that up to two fans augmented with “high performance composite heat pipes.” The cards also include a finned aluminum heatsink with a copper base where it contacts the GPU. 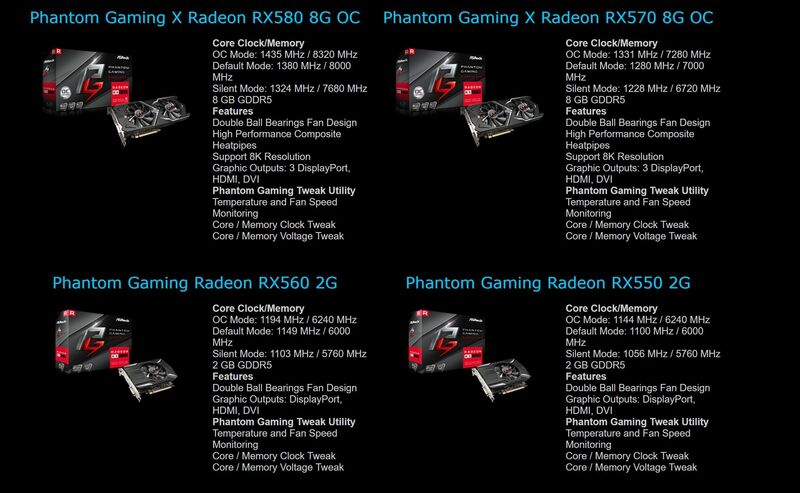 PCWorld’s guide to Radeon graphics cards can explain the general performance to expect from each model. ASRock is rolling out custom “Phantom Gaming Tweak” software to complement the new hardware, and it includes a trio of presets that let you tailor your gaming experience toward performance or efficiency: Silent mode, Overclock (OC) mode, and Default mode. We’ll have to see how this virgin attempt at overclocking software holds up though—you might be better off using the Radeon Wattman overclocking tools baked directly into AMD’s Radeon Settings software. 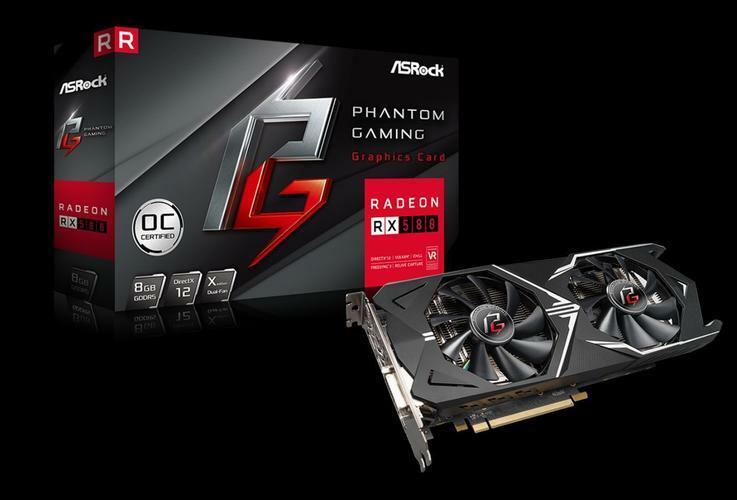 The Phantom Gaming page doesn’t include cost or release date info, but let’s be honest: Graphics cards aren’t selling for reasonable prices these days anyway, and that goes doubly so for Radeon-based options. As nice as it is to see new competition in the graphics hardware space, expect these to be snatched up at sky-high prices as soon as they appear (maybe around the April launch of AMD’s Zen+ processors?). Until GPU prices return to sanity, be sure to check out PCWorld’s guide on how to keep gaming when graphics cards cost so much.